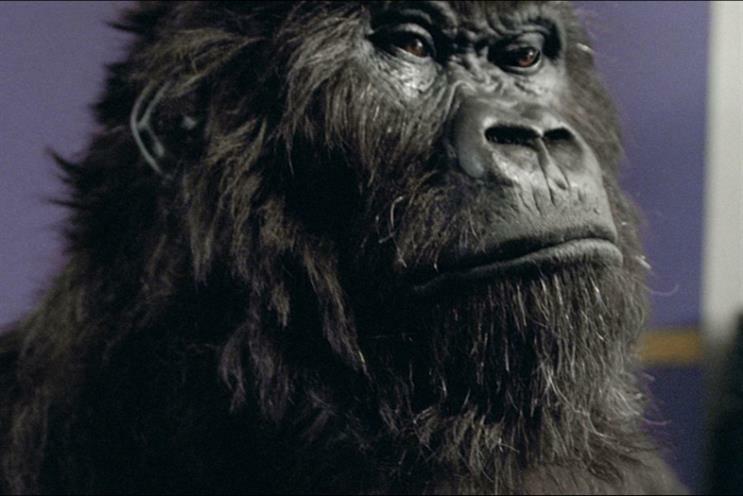 Cadbury's 'Gorilla' has been named the public's favourite ad of all time, while marketers' top ad is Guinness' 'Surfer', according to polls run by Marketing celebrating the 60th anniversary of the TV ad break. More than 1,000 people took part in the public vote, which was conducted by market research company TNS. Gorilla topped the poll with a 19% share of the vote, beating Compare The Market, which gained a 16% share, into second place. In third place was the Smash Martians ad, which first aired in the 1970s, with 11% (see full results below). Gorilla, which was created by Fallon, first aired in 2007. The ad marked a radical departure from the way chocolate was marketed, eschewing the usual product shots for the spectacle of a gorilla drumming along to Phil Collins’ 80s hit 'In the air tonight'. Marketing's editor Rachel Barnes said: "British people love surreal humour and every element of the Cadbury Gorilla oozes with it. Nothing about it makes sense but it's a magical piece of advertising that took the TV-viewing public by surprise." Phil Rumbol, the former Cadbury's marketing boss behind the ad, now a founder at 101 London, said: "I think its enduring appeal lies in the fact it's not telling people a message, it evokes a feeling - and it's therefore something people enjoy over and over." 20% share of the vote, leaving Compare the Market the runner-up once again with a 9% share. The industry’s third favourite ad was Blackcurrant Tango's 1996 St George ad, which also gained a 9% share but came third as it drew four less votes than the price comparison site’s ad. Directed by celebrated film director Jonathan Glazer, the 1999 industry favourite is an atmospheric black-and-white ad following the fortunes of a surfer on a mission to find and conquer the perfect wave. Stunning visual effects show white horses galloping through the waves next to the surfers. Barnes said: "The Guinness Surfer ad is Adland's favourite down to the pure craft of the ad creative. It remains a stunning piece of short film today, even 16 years after it first aired." Syl Saller, CMO at Guinness’ owner Diageo, said: "A guiding principle for us when we create adverts for Guinness is to always do things that only Guinness can do, and to do them differently. "For me, the Guinness Surfer advert captures this principle perfectly – from the stunning visuals, to the powerful music, to the script – totally different to the beer advertising of the 90s," Saller said. She explained that one of the things that makes the ad "so timeless" is its combination of " fantasy with authenticity". "The cast aren’t actors, they are genuine surfers who we discovered on a Hawaiian beach spending their days waiting for the perfect wave, and the footage is of real horses," she added. The polls were commissioned by Marketing to celebrate the 60th anniversary of the UK's first TV ad break, which falls on 22 September. On this day in 1955, a 70-second spot for Gibbs SR toothpaste was the first TV ad to be screened in the UK on new channel ITV. Throughout September, Marketing has been running a series of articles penned by influential industry leaders to mark the occasion. The aim of the series is to explore where TV advertising is now and its future in a rapidly evolving media landscape. Methodology: The list of ads put to the public were selected following a month-long social media push for suggestions to find the most popular.